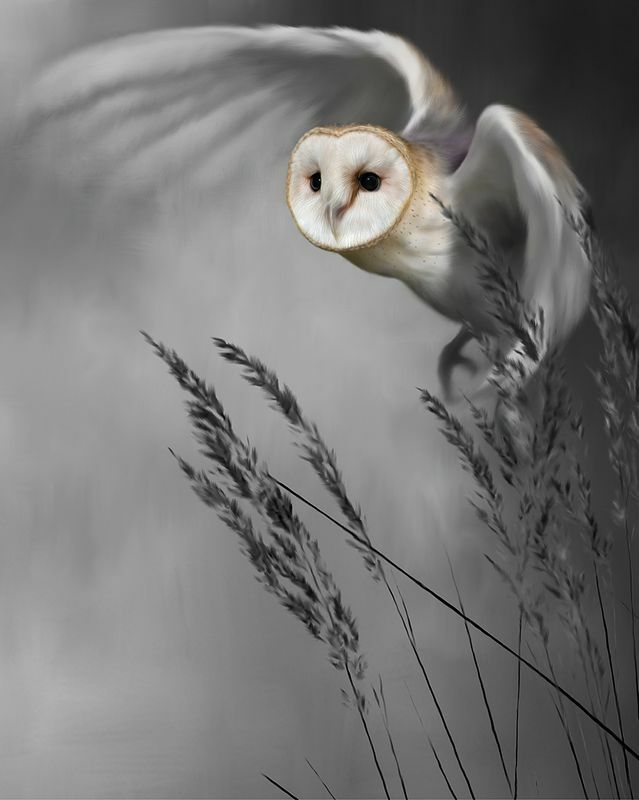 Twilight Flight - mounted by Nigel Hemming // £177.00. Part of a series called ‘Natural Wonder’ this is the sister piece to ‘The One That Got Away’ (Kingfisher) and is another tour de force of ornithological art by Nigel, this time of a barn owl in flight. He really seems to be coming into his own artistically with this recent foray back into painting birds, which incidentally was his original way into art pre his early 1980 dog art prints. I am sure you can see, he is immensely talent and the picture just takes your breath away!